Centennial Olympic Park typifies the transformation. Within a few square blocks surrounded by glass and steel skyscrapers lie the World of Coca Cola, Inside CNN Atlanta and the Georgia Aquarium (two words: whale sharks). Walk forward through history from the Civil War to the Civil Rights Movement by visiting the Atlanta History Center's museum complex, the King Birth Home and the MLK Jr. Memorial Center. From downtown galleries to a Grammy award-winning orchestra, Atlanta is quickly becoming known for its impressive arts and performance attractions. Downtown high-rise hotels host everyone from international visitors from Atlanta's CDC (Centers for Disease Control) to tourists looking for proximity to the city's top restaurants. and, as a result, there are many festivals and events during this time. One highlight of the year is when the dogwoods and azaleas bloom in April, but do keep in mind that hotel rates will be at their highest when the picnic weather peaks. If you want a deal, you can take your chances on the summer months, but it can get very hot, with temperatures soaring past 85F (30C), as well as muggy. One note of caution: Beware the conventions. Tens of thousands of people flood the city for some of the bigger events, and can make getting hotel and restaurant reservations a challenge. Not everyone reading this novel is going to desire to build huge muscle though and creating intense workout splits definitely isn't for everybody. A lot of you're going to only desire to enhance your health, burn some fat and feel a bit stronger. If so, you should start seeing astonishing advantages merely simply by using the SSE work out we looked at at the start of this book. As you advance however, you might want to make this more challenging on your own and spend a bit over 10 minutes each morning to establish some actual strength and burn some real fat! Great City lots to see and do especially with southern heritage. There is a down side with crime. Atlanta is one of a kind. Lots of things to do and lots of food to try. Went on a budget and left with some great adventures and didn't go over budget. I like seeing the smaller, unique places starting to pop up in Midtown. Parking is always pretty terrible and don't even mention the traffic on I75/85. Having a great time exploring the area as work allows. Atlanta is the city hub of the South. Full of things to do with professional sports teams, concerts, bars, clubs, restaurants, history, and a hint of southern charm. Anything that travels through the South travels through Atlanta. As a young city, it continues to grow rapidly and it is often unusual to meet someone who claims to have been born and raised in Atlanta. 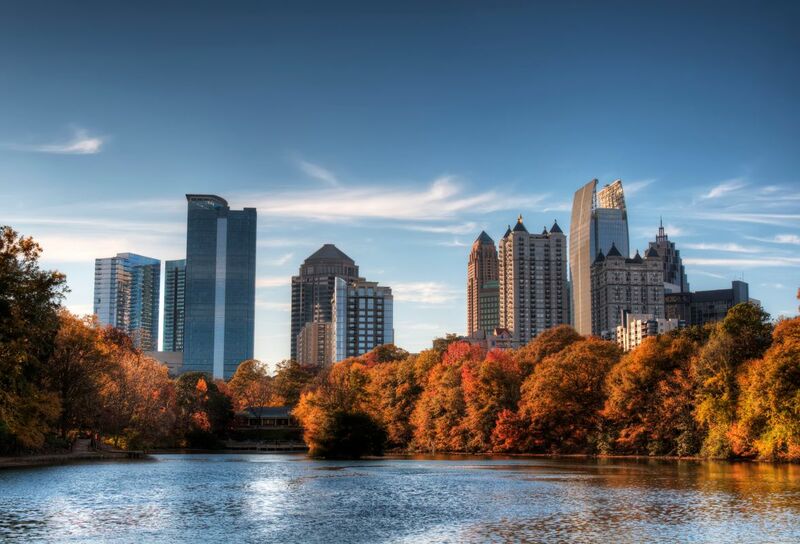 Many first time visitors need to keep in mind that Atlanta is very spread out. Places like Buckhead are just outside the city, yet provide some of the best spots in town. It was a pretty city but the people I ran into where rude and they went even speaking to me. I would go back just to give it a second chance. Atlanta is another great southern city with great history and civil rights. The city has some of the greatest historical sites to visit. Disability Access is available within reason of the different sites. To view the City you will need at least 3 days to get a flavor of what the city has to offer.